Around a quarter of small business owners don’t have a business checking account, according to a recent Citizens Bank survey of 200 businesses with less than $500,000 in annual revenue. The survey had a number of interesting insights, including the fact that most small business owners (7 of 10) choose to use the same bank for both business and personal checking accounts. To talk about the survey, I spoke with Quincy Miller, Citizens Bank’s President of Business Banking. Mr. Miller and I talked about a wide range of topics including business checking, cash management, and credit card merchant accounts. During the interview, Mr. Miller referenced Citizens Bank’s Clearly Better Business Checking offering. The business checking account offers no monthly minimums, no monthly fees, and 200 free transactions per month. The following interview is reconstructed from my notes and does not represent Mr. Miller’s exact words. Why do over a quarter of small business owners not have a business checking account? Many small business owners believe they have too few transactions for a business checking account. This coupled with a major concern about the monthly fees, discourages a large number of small business owners from setting up a business checking account. This is one of the reasons we developed Clearly Better Business Checking. There are no monthly maintenance fees, regardless of the account balance. Why should a business owner avoid using one account for both business and personal use? Mixing personal and business funds in the same account can create a tremendous amount of extra work, particularly around tax time. Going back through a whole year of records and sorting out which expenses were personal and which were business, is a process that is both time consuming and prone to errors. Secondly, as a business expands, it may want to start accessing credit products like loans. Business lenders are going to want to see bank statements for the business which do not include the owner’s personal finances. What is the most popular way for small businesses to receive payment? By number of banking transactions, paper checks are still the most popular form of payment, closely followed by electronic payment. Payment in physical currency, bills and coins, brings up the rear. When considering where to open a business checking account, small businesses should consider the number of transactions they can do without being charged a fee. 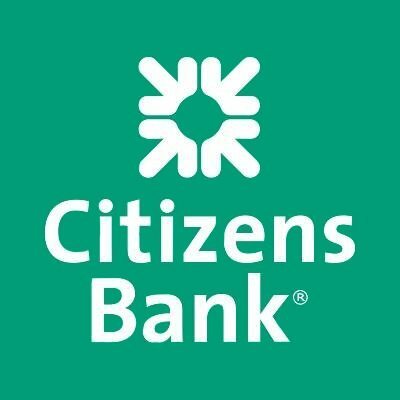 Citizen Banks’s Clearly Better Business Checking has 200 free transactions per month. However, electronic transactions, like online checks, don’t count against the 200. In my personal view, more than 90% of small businesses can use our product without paying any transaction fees. Do you have any insight on how small businesses can improve cash flow? Encouraging customers to pay immediately upon the completion of jobs or delivery of product with a credit or debit card can dramatically improve cash flow. Typically, funds from credit cards are available to the business owner within 1- 3 business days of payment. I have a friend of mine in the landscaping business who invoices his clients. The invoices typically had net 30 day clauses. However, his clients did not always pay on time, which meant following up on collecting funds. When he started offering and encouraging credit card payments, he both improved his cash flow and spent way less time trying to get clients to pay up. On the flipside, many businesses don’t fully take advantage of their credit terms. If you have 60 days to pay a bill, you should pay at the end of term. If you currently don’t get trade credit from your vendors and suppliers, ask for it. Also, ask your vendors and suppliers if you can pay by credit card. That way you can get another month to pay. 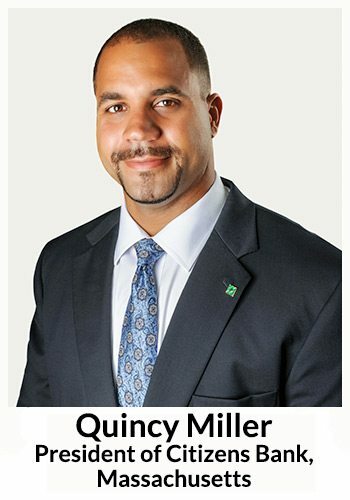 Quincy Miller is president of Citizens Bank, Massachusetts, and president of Business Banking for Citizens Bank. He oversees more than 650 sales and operations colleagues with responsibility for clients up to $25 million in annual sales, and all credit underwriting/operations. His team serves the banking needs of more than 330,000 businesses across the 11 states served by Citizens Bank. Previously, Miller was Business Banking director of strategy. He also served as the Massachusetts director of Retail branchbanking for Citizens Bank, responsible for overseeing more than 130 branches and 1,100 colleagues. Throughout his career, Miller has been engaged in the community. 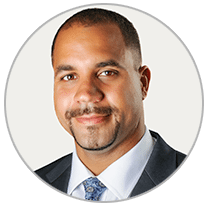 He currently serves as board chair for the Urban League of Eastern Massachusetts and is a board member for the Greater Boston Food Bank and Bottom Line. He is a past board chair of the Camp Curtain YMCA and board member of Central PA Big Brothers & Big Sisters and Cuyahoga County Community College. The Central Penn Business Journal, 2002; Crain’s Cleveland Business, 2008; and Boston Business Journal, 2012, recognized him as a 40 under 40. Prior to joining Citizens in 2006, Miller spent nine years at M&T Bank in New York City and Harrisburg, Pennsylvania, where he was vice president and Retail regional manager. Miller is a graduate of Lafayette College, where he earned a B.A. in economics and business; and of the Consumer Bankers Association Graduate School of Retail Bank Management.